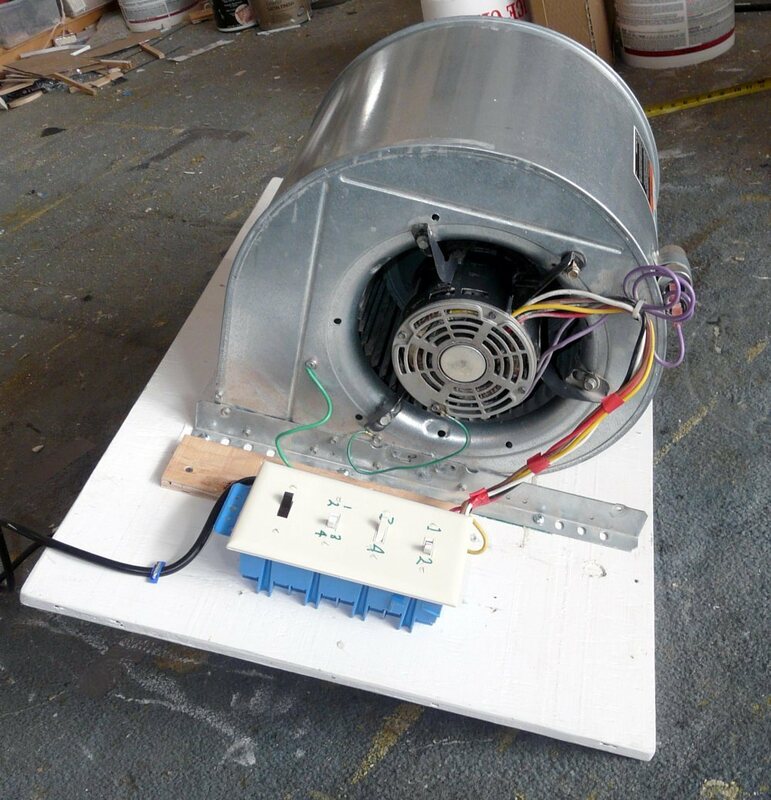 This project will tell you how to build a pretty good blower door for about $30. Estimate your infiltration flow at 50 Pa (a blower door standard) and compare it to other homes. Estimate your heat loss due to infiltration, and compare it to other heat losses. Estimate fuel saving and CO2 reduction from air sealing your home. It basically does what a commercial blower door does, but less automatically and less accurately. Also makes one helluva ventilation fan. 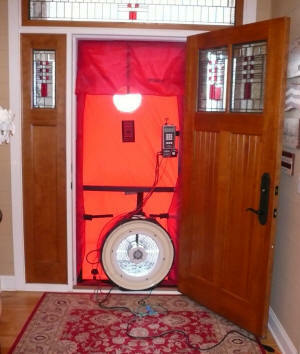 The blower door is a large fan that is installed in a door (or a window for the DIY one). The fan forcefully blows air out of the house, which increases the inflow of air through all the cracks in your house that let air in. This increased flow makes it easier to find the leaks and seal them up. 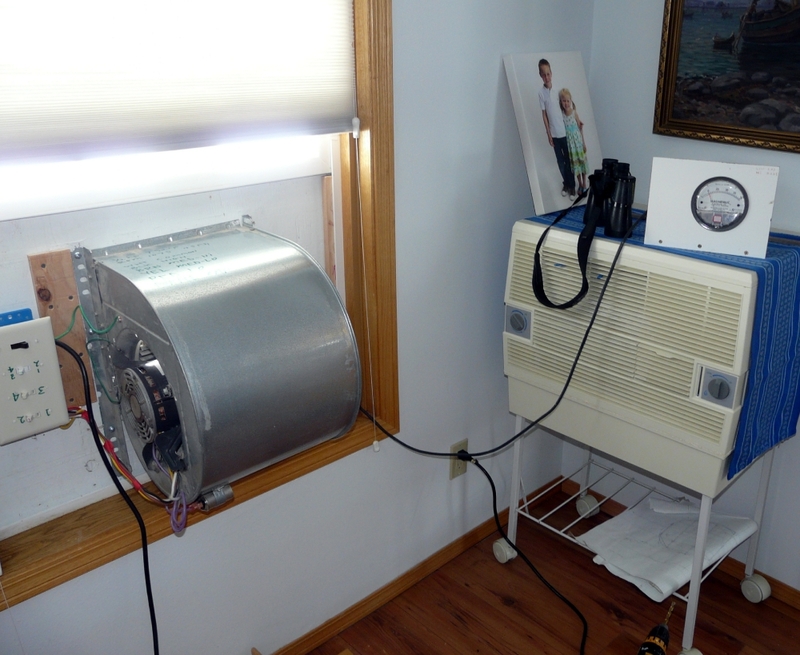 In addition, the blower door fan can be set up to measure the flow rate out of the house when the pressure difference between the inside and outside of the house is 50 Pa. 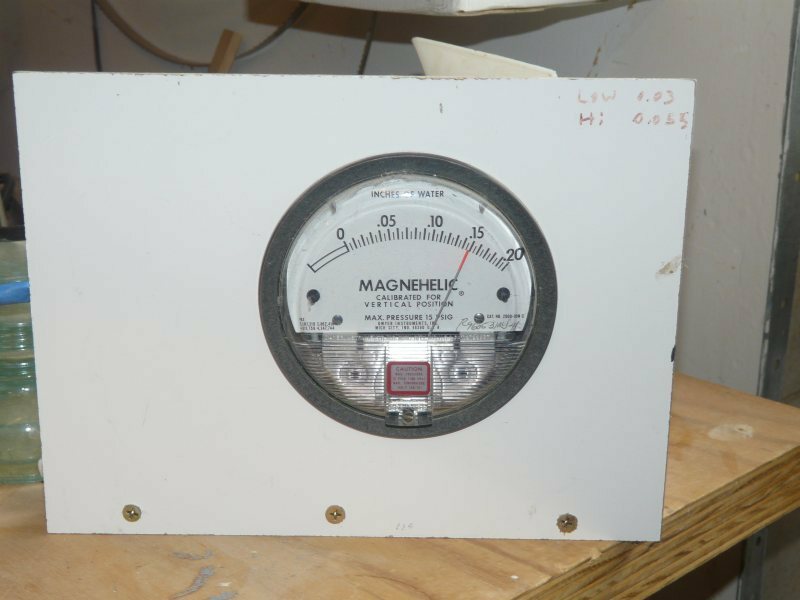 This is a standard test that has been done on many homes, so you can see how your house tightness stacks up to other homes. In addition, the flow out of the house with a 50Pa house depressurization can be used to estimate the natural infiltration for your house, and this can easily be used to estimate the heat loss, furnace fuel, and CO2 emissions associated with your homes infiltration. So, basically, a blower door helps you find and seal leaks, tells you how tight your house is compared to others, and lets you figure out the heat loss and furnace fuel that go with the infiltration. Everyone should have one! The homemade blower door can do all of these things -- albeit with a bit less accuracy and a bit more work than a "real" blower door. The extensive writeup provides all the details on building the blower door, installing it, using it, and all of the infiltration flow calculations so you can calculate the tightness and infiltration heat loss for your house. A real deal commercial blower door.